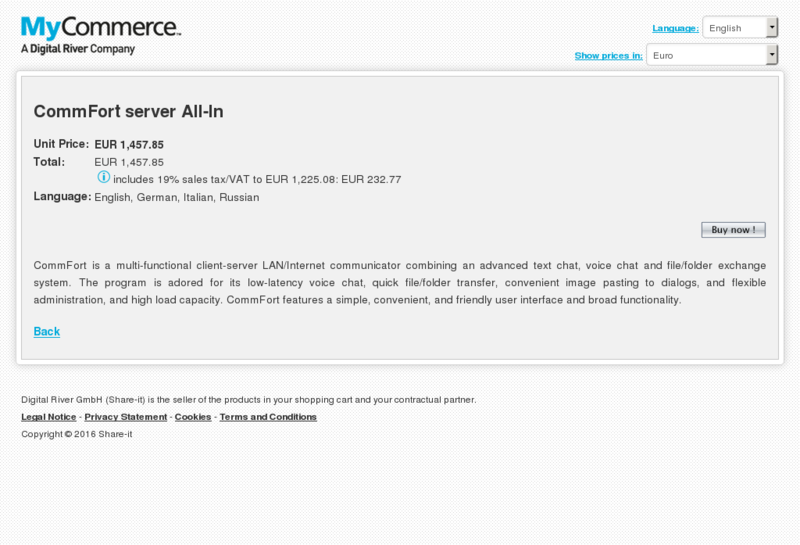 CommFort is a multi-functional client-server LAN/Internet communicator combining an advanced text chat, voice chat and file/folder exchange system. The program is adored for its low-latency voice chat, quick file/folder transfer, convenient image pasting to dialogs, and flexible administration, and high load capacity. CommFort features a simple, convenient, and friendly user interface and broad functionality.